I flipped through pages after page of my mom’s sketch book and photographed the ones that caught my attention. 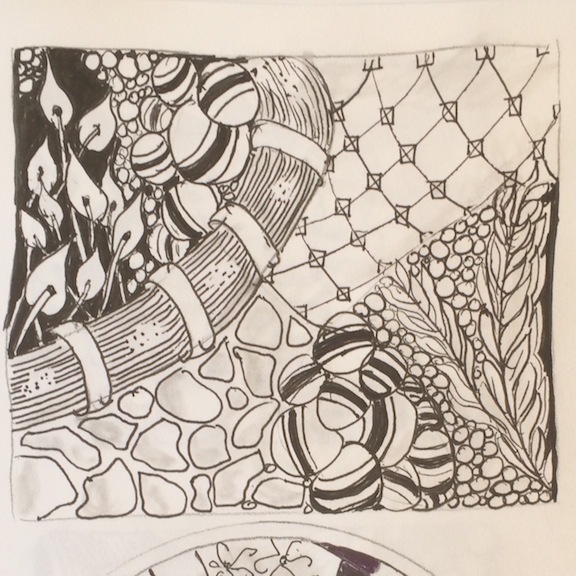 Instead of creating my own zentangles I decided to just play with my mom’s sketches: so the first image in black in white, in each group of 3 images below, is a zentangle from her hand. 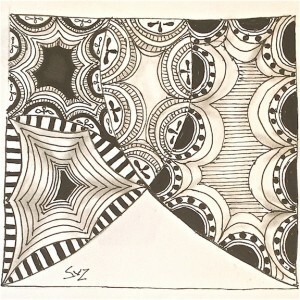 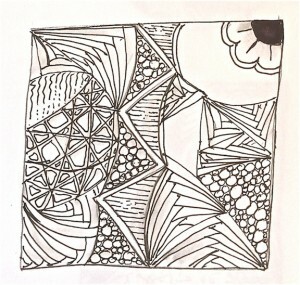 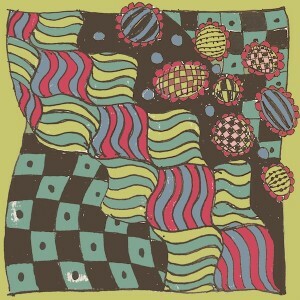 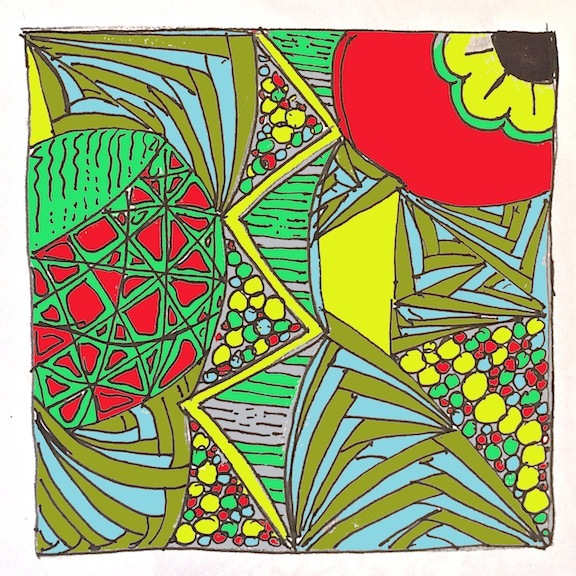 The second image is my colorization of my mom’s zentangle . 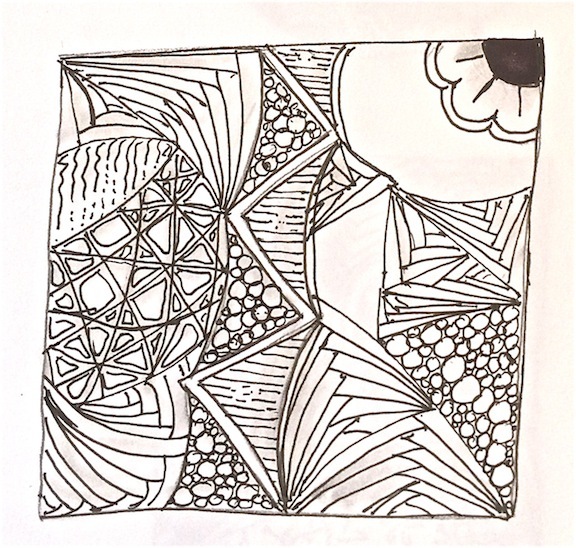 The third image is created as an homage to the women in my life. 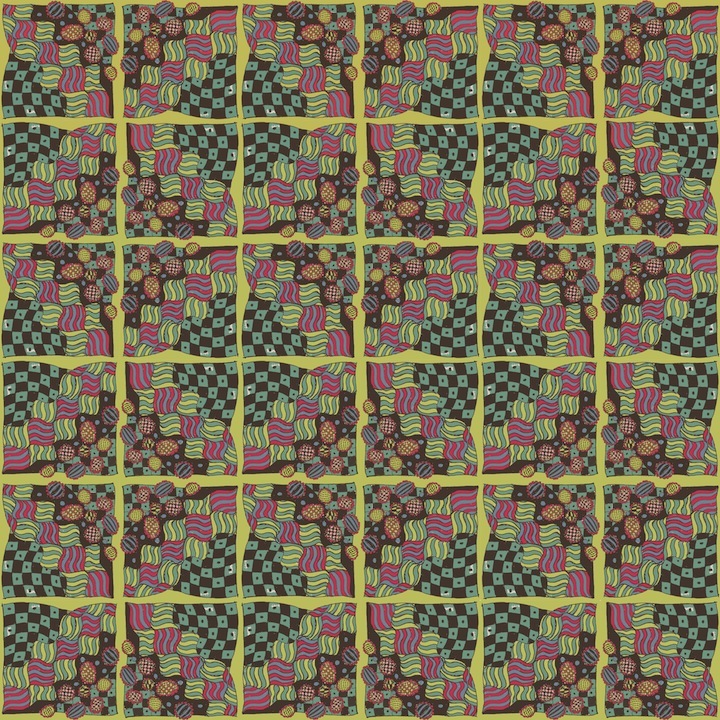 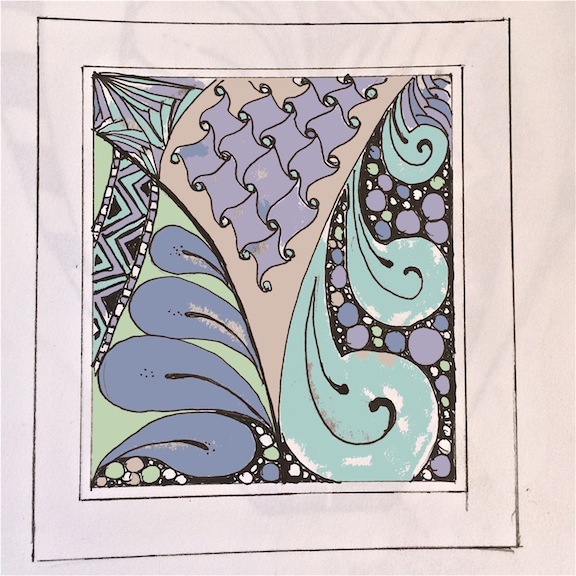 Both sisters, my mother, grandmothers, and I love working with fabrics at some time in our lives, so I have created “fabrics ” from the colorized zentangles. 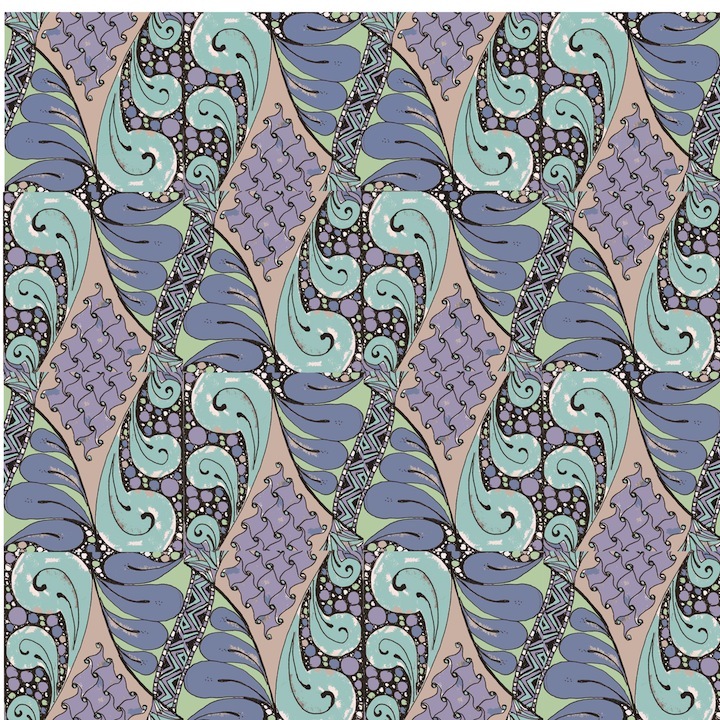 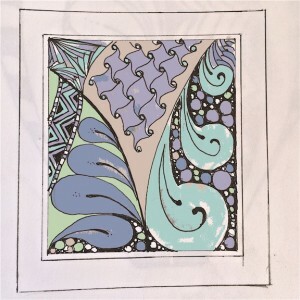 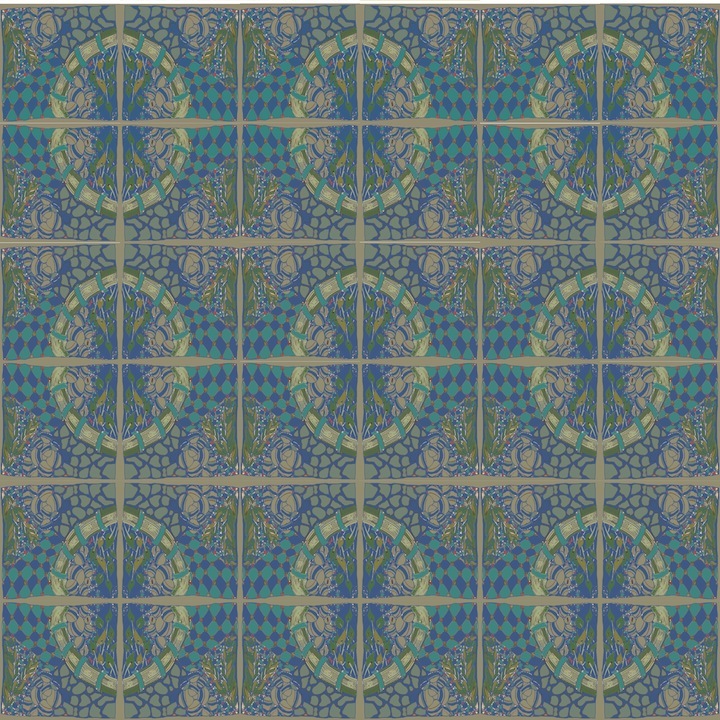 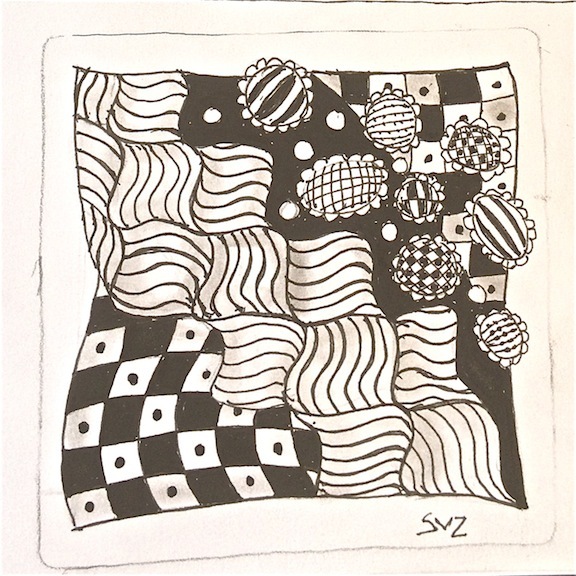 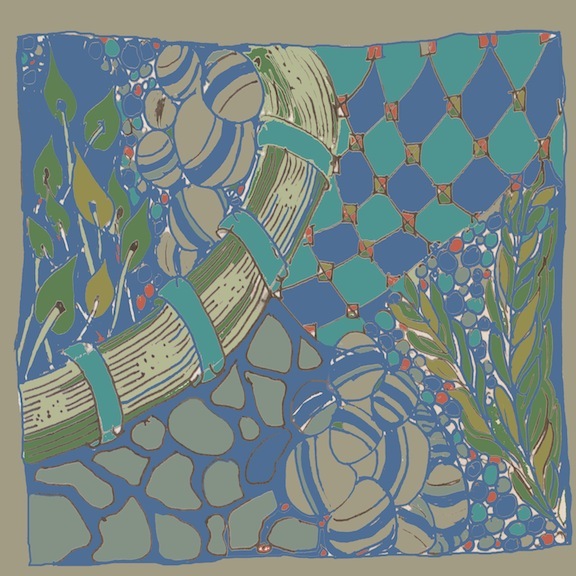 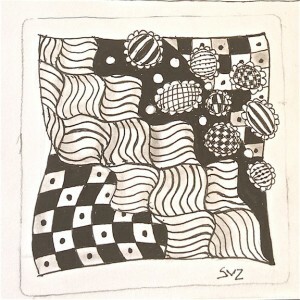 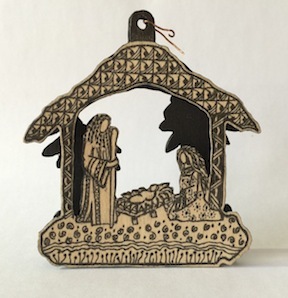 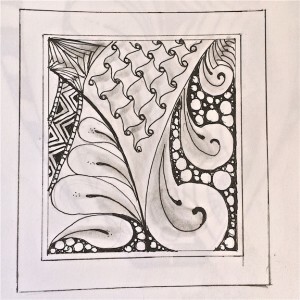 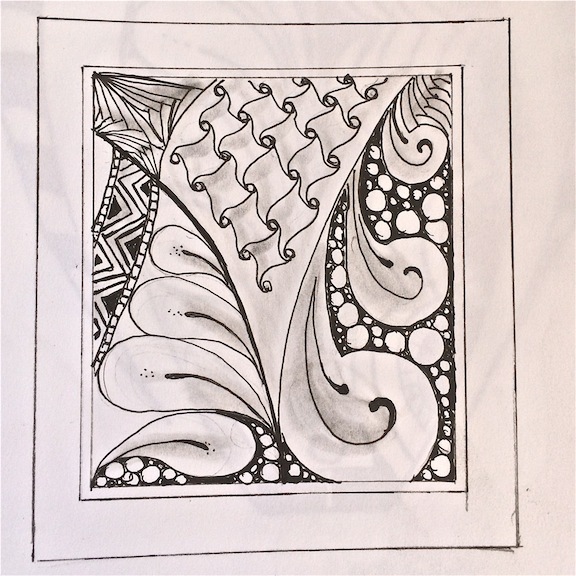 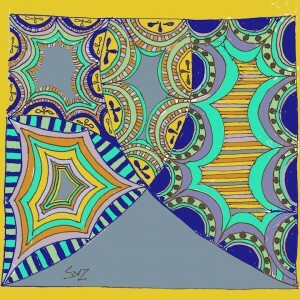 Not only was I inspired by my family’s zentangles, I was also inspired by the exhibit at the Art Institute Off the Bolt: Robert Allerton’s Designer Fabrics . 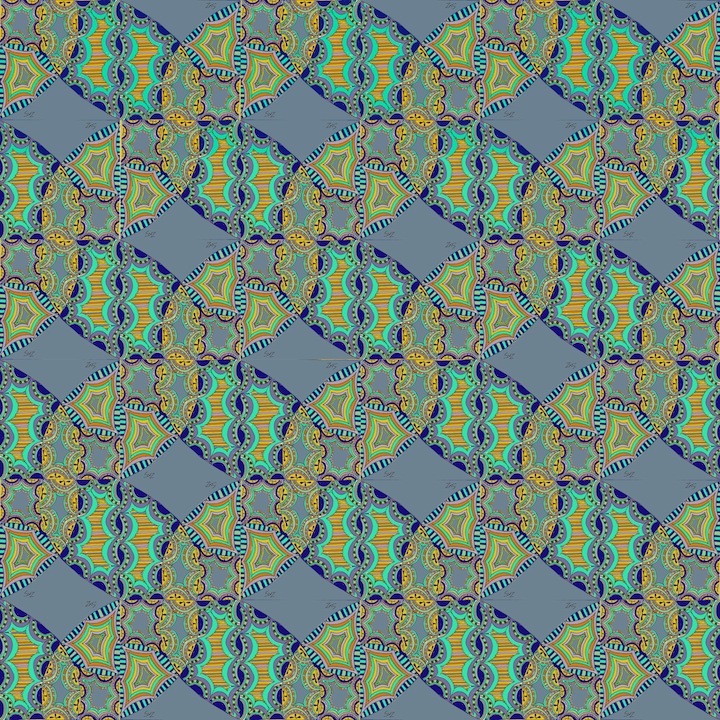 There is no similarity in color or style, just the repeat of pattern in all shapes and sizes is reflected in my fabric creations. 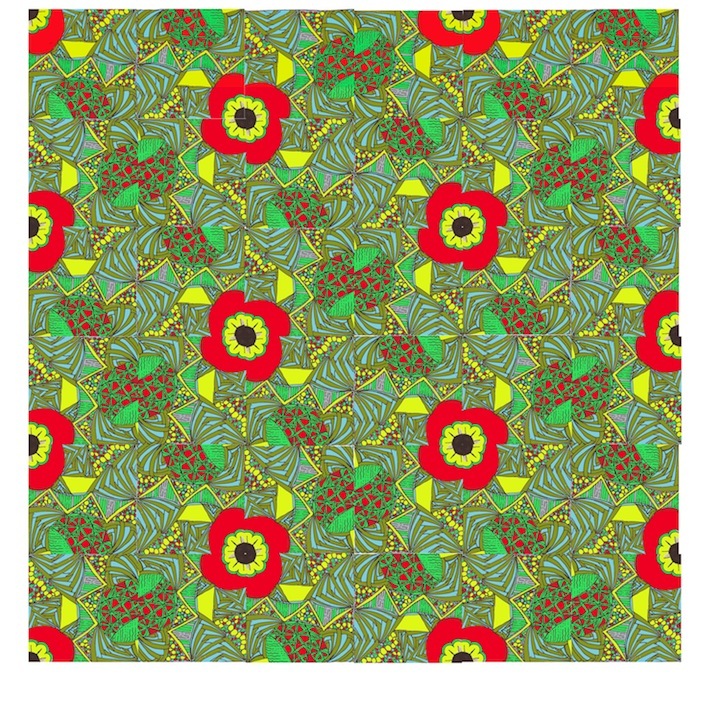 So for any of you seamstresses out there- what would you create with these fabrics? 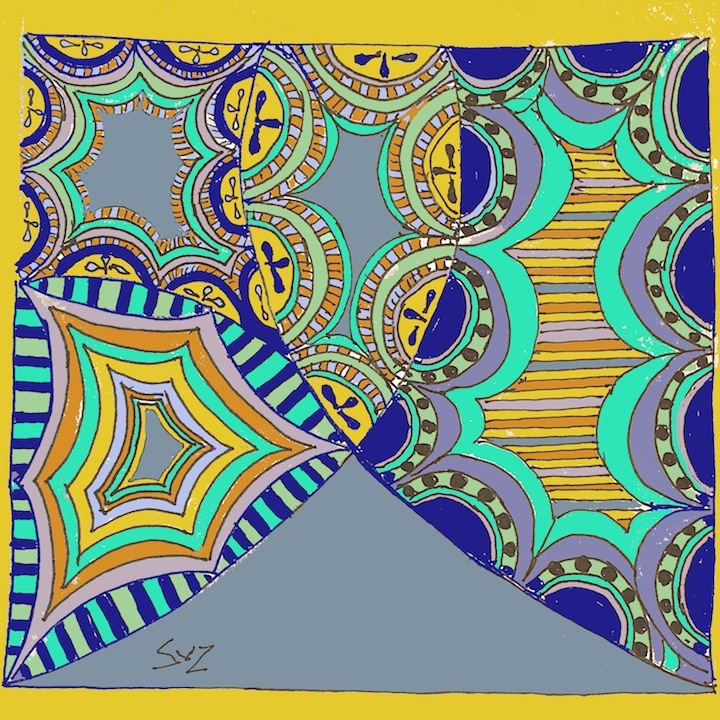 https://cassandraartpaintings.com/wordpress/wp-content/uploads/2014/06/Cassandra_Logo-04.png 0 0 CassAdmin https://cassandraartpaintings.com/wordpress/wp-content/uploads/2014/06/Cassandra_Logo-04.png CassAdmin2015-03-26 16:17:202015-03-26 20:29:42Zentangle "Fabric"